We can sleep some other weekend! We took a night bus on Friday to Chiang Mai and then took another night bus on Saturday back to Bangkok. The bus was not such a good idea. We should have taken a train; that way we would have had a nice bed to sleep in and wouldn’t have had to worry about a crazy bus driver seemingly determined to kill us all. We arrived at 5:00am. Getting to Chiang Mai really early was kind of nice. We got to see the first two temples before it became overrun with tourists. 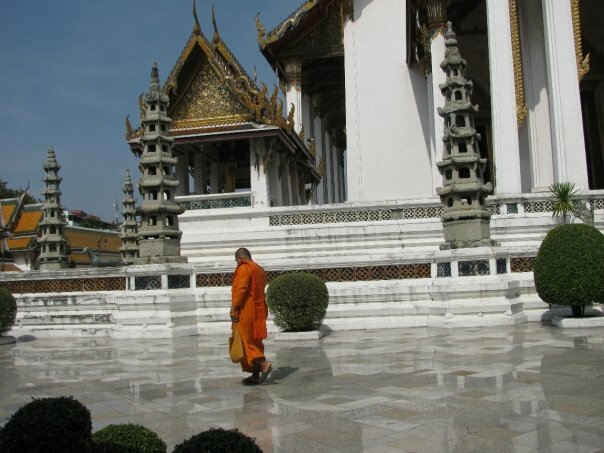 It was great being the only people intruding on the monks as they swept. I got you now! …unless you’re American. One odd thing that happened to us on the trip. While on the bus for the ride back to Bangkok, Mark and I were asleep in our seats. Mark woke me up to ask me where our tickets were. When I opened my eyes I saw two men in military uniforms standing over Mark. I figured that they assumed that Mark was Thai or some sort of other Asian. Mark is obviously Asian with dark skin and is always being mistaken for Thai, Laotian, or some other ethnic group. I began to argue with him. My rationale was that if they heard him speaking English they would know that he wasn’t whatever they thought he was. It worked. As soon as enough English came out of his mouth, the men moved on to harass some other poor dark skinned Asian. I’m still not sure what they wanted. Other than the incident on the bus, the trip was very peaceful. We visited many temples and took lots of great photos. 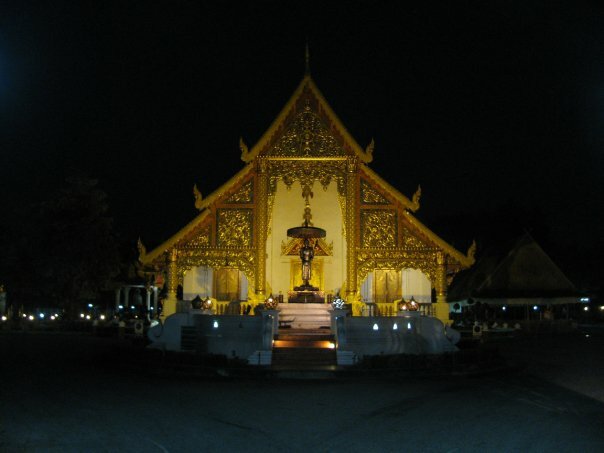 If you are a photophile, Chiang Mai is the place for you! You can get here by plane, train, or bus. I wanted to take a sleeper train to Chiang Mai, but they were all sold out for the dates that I needed. There was no way I was going to travel by train in a 3rd class seat, so I bought bus tickets instead. We should have taken a government bus, but we wanted to check out the classy/ritzy expensive bus. It was more expensive than a government bus so Mark and I thought that we were treating ourselves to a posh ride. The luxurious bus tickets cost more than twice that of train tickets. Tickets on a government bus leaving from Mo Chit bus station cost about 1/3 the price of the luxurious bus. And, it is not worth it in any way! It is not more comfortable than the good ol’ government bus. In fact it is way more annoying. The problem with the “luxurious” bus is that they won’t just let the passengers sleep. We were constantly woken up to be given snacks, water, or coffee. The snacks are really bad. They stopped at mid-night to feed us a bowl of soup. And their method of awakening us? Horrible loud Thai pop music. Luxurious buses are not any bigger than the first class government bus, but some are taller. This, however, does not translate into more leg room. You do not get the Luxurious bus at a station. It’s really hard to give directions to where to catch the bus. Usually you go where you bought your ticket and they shuttle you to where the bus is parked. The Luxurious bus will drop you off at some anonymous part of town where cab drivers wait for gullible tourist to rip off. The government bus will take you to the bus depot, where you can get a bus, or a metered taxi to get home. 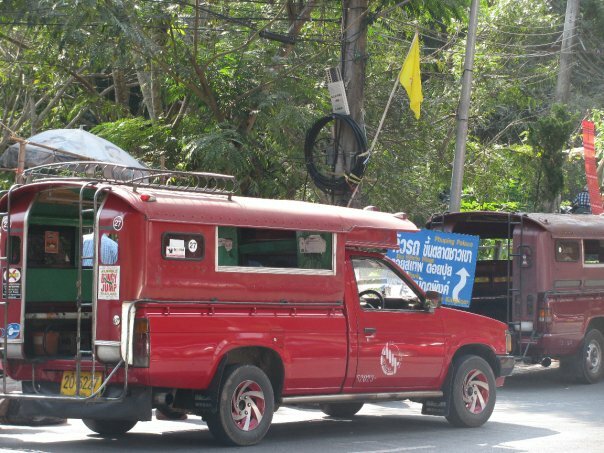 The Luxurious bus caters more to rich Thais and tourists. They do give you a blanket since you will freeze when they turn the AC to extra-max-high. Once in Chiang Mai the best way to get around is by songtow. Songtows are kind of like a cross between a taxi and a bus. Many have no set path like a bus does. It goes where the passengers ask to be taken like a taxi. But, it will pick up more passengers along the way like a bus. The ones in Chiang Mai are usually red, like in the picture to the left. You can find them just about anywhere, but especially around the university. Just tell the driver where you want to go then hop on. He’ll tell you when it’s your stop. You pay when you get off. Songtow prices are more reasonable than tuk-tuk prices. The rides are less bumpy too. In some towns they are more like buses in that they have a set route. But here, they seemed to go where the passengers request. 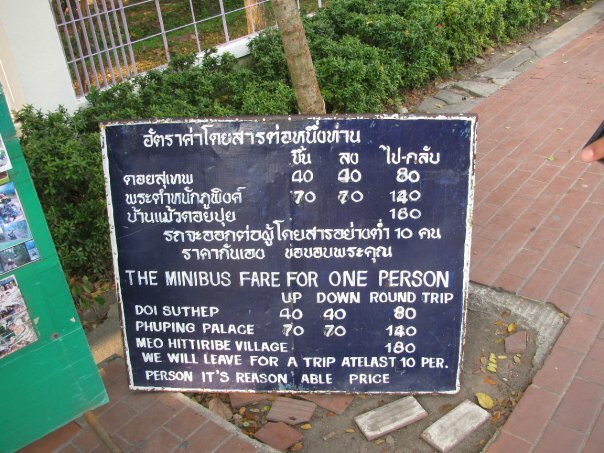 The price is generally non-negotiable (everyone pays the same fare) unless you have hired one before hand and the driver does not pick anyone else up. Then you should settle on a price before you get in the truck. Tell the driver where you want to go and then get in. The driver will stop at your destination. Get out and walk to the front on the passenger side. The driver will tell you how much you owe. Take a songtow or walk. 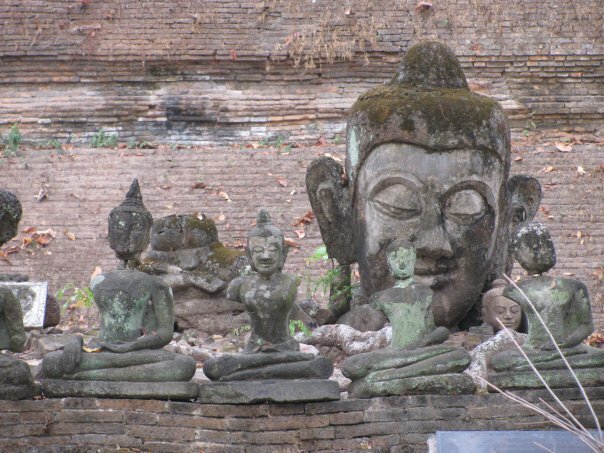 Be sure the check out the Buddha in the back and the tree with wise words written on them. Check out the tunnels. Enjoy the peacefulness and just walk around. There’s a disappointing zoo, but lots of interesting statues. Talks in English are given every Sunday from 15:00 to 18:00 at the Chinese Pavilion near the pond. There are many books in English and other foreign languages. 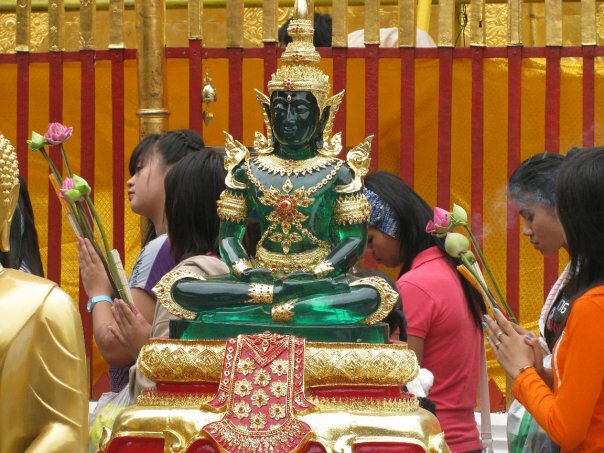 Take a songtow to Doi Suthep. The songtow will drop you off at the base of the mountain. 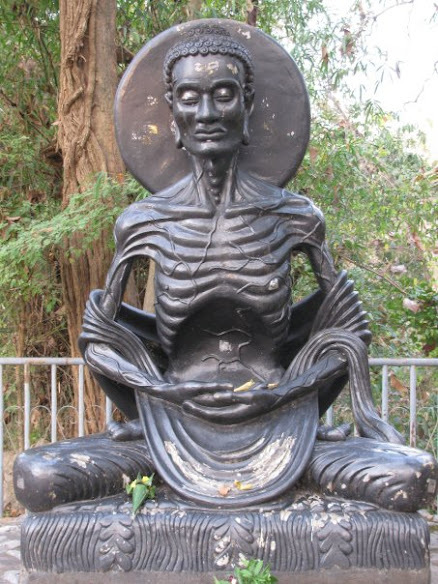 From there you will take another songtow to the temple. 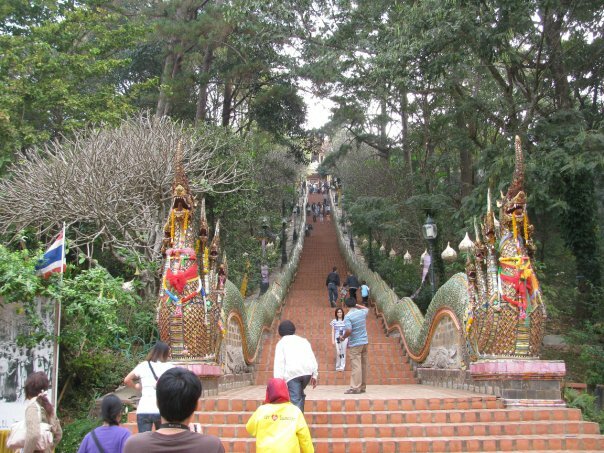 The songtow from the mountain base to the temple will cost 40THB per person. Take off your shoes and see the main temple. Take a songtow to the top of the mountain. It will cost about 200THB per person for the ride. Once near the top you can follow the “nature trail” to the summit. You might be disappointed. The “nature trail” is through thick forest, so you don’t really get to see much of anything. Once at the summit, because of the thick bush, you don’t have a view of Chiang Mai at all. The songtow driver will wait for you while you explore the mountain. If he doesn’t, you’re screwed. There are tents to rent and a campsite near the summit. You can ask about it before you hit the trail. 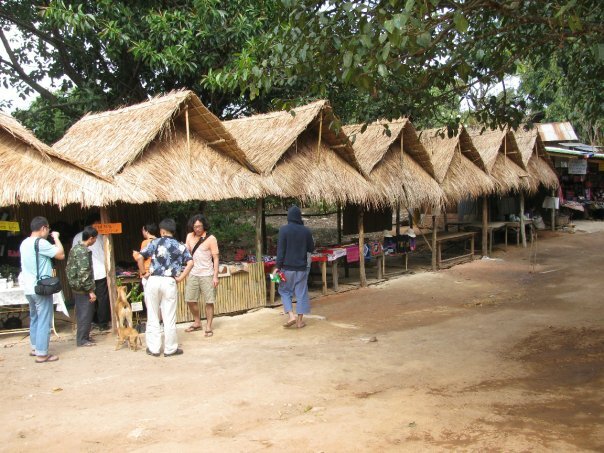 There are several villages and even more songtow drivers that are willing to take you to one. Look at a map and try to see one near something else you want to visit. 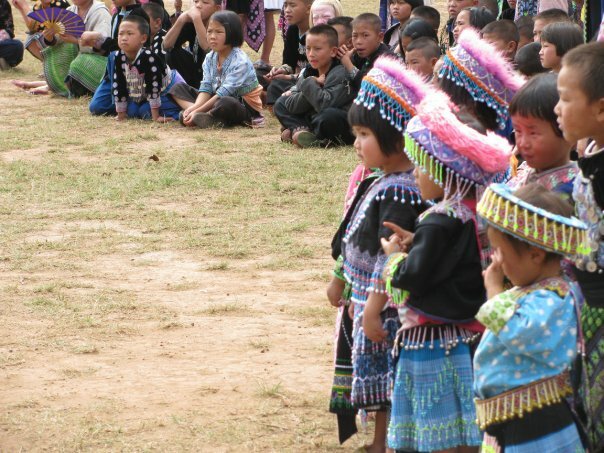 Ask if any of the villages are having any special festivals, if not… they’re all pretty much the same boring things. There isn’t much to do once you get to the village, but hopefully you will get some photo ops. We were lucky to catch a school festival, but I don’t think they did this everyday. There are little shops in the villages. They carry mostly trinkets. Make sure to bring your own snacks if you are a picky eater. The little restaurants do not have a lot on the menu. It does get boring after 20 minutes of walking around. This is a tourist trap, but not so bad if you like this sort of thing. This is another thing you do, to say you did. 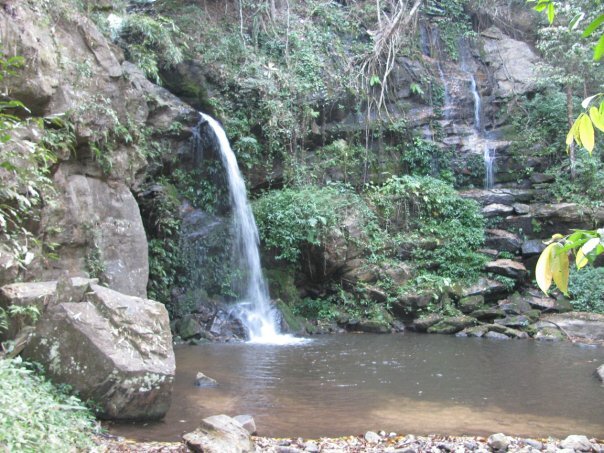 The waterfalls are between the town and Wat Phra Doi Suthep. 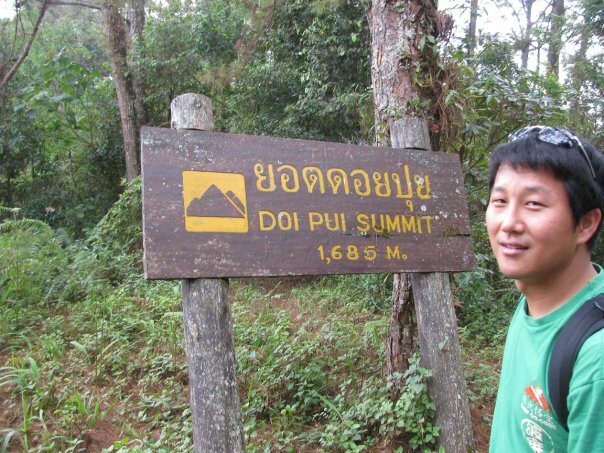 From the base of the mountain it will cost the same 40THB per person as a trip to Doi Suthep. This is the same songtow too. 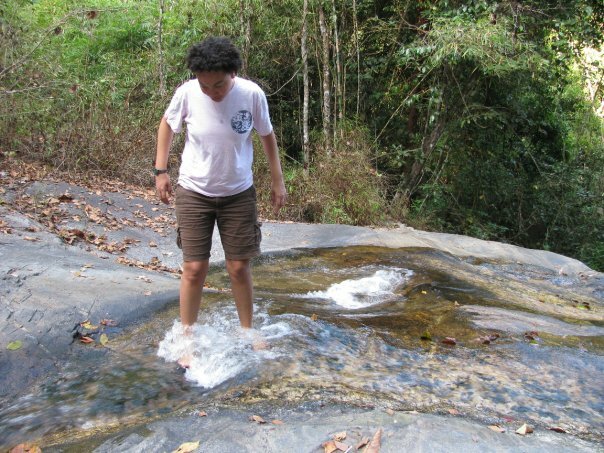 It will drop you off on the road and you will have to walk the 3km to the falls. Or you can hitch-hike if you are lucky enough to find someone driving by and that person is kind enough to give you a ride. This place has a camp site. 30THB if you bring your own tent. There are also bungalows to rent. Call 0 5321 0244 for more information. This one seems nicer than the one at the summit. This one has waterfalls and the other one at the summit has nothing interesting.